A desire to do more than just help somebody make a profit is what drives Alex Oppes. A director in the Impact Investing team, Oppes has been at Social Ventures Australia (SVA) for almost five years. During that time, he managed SVA’s first impact investment vehicle – the Social Impact Fund (SIF). Today he’s responsible for SVA’s $15 million Diversified Impact Fund, which was raised off the back of the successful close of the SIF which delivered a 6.7% IRR to investors. His path into impact investing wasn’t typical. After graduating with a Law degree (Hons) from the University of Melbourne, he joined McKinsey & Company as a business analyst, before leaving to run an entrepreneurial food retail business. “It was a lot of fun, I learnt so much. It gave me a real appreciation for the challenges and excitement that comes with running a small business,” he says. After exiting that business, Oppes spent several months travelling. Hiking around Nepal and motorbiking around Kashmir in the North of India, while deciding what to do next. “After I sold out of my share in the business, I spent a lot of time thinking. It was a number of months before I came to my senses,” he laughs. Since arriving at SVA Oppes has been exposed to many social enterprises, but there’s one that sticks out. Vanguard Laundry – a social enterprise he had a hand in creating. 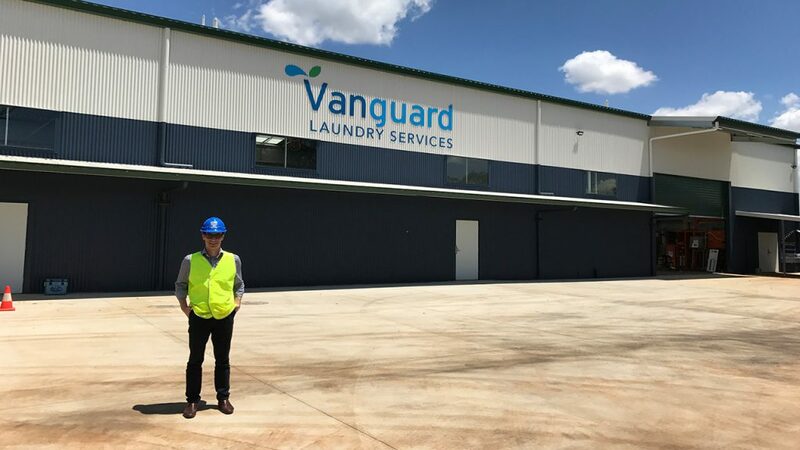 Oppes met Vanguard Laundry founder Luke Terry while working on the Social Impact Fund and investing in another of Terry’s businesses – Ability Enterprises. “For me Vanguard has been the highlight of my career,” he says. “Taking something from an idea to a social enterprise that now employs 50 people, 35 of whom have had real periods of difficulty in their lives due to mental health. “The person that impressed on me most, was a guy who got a job through Vanguard. We had a workshop while we were still building the actual laundry and recruited something like 20 people on that day. The ethos was anyone that wanted a job could work. “John* joined the workshop, and he had quite severe mental health issues and had been in and out of a mental health ward as a result. It’s moments like these that impact investing opens up. Based on the Vanguard experience, Oppes has also been instrumental in SVA developing a Contract Readiness support initiative aiming to deliver more social procurement deals. *John’s name has been changed in order to protect his privacy.